Information statement On the World AIDS Day Know your HIV status! 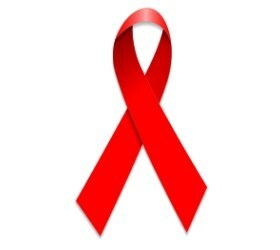 On December 1, the World AIDS Day is observed for the 30-th time around the world. This year, this day is held under the slogan #Know your status (#ДізнайсяСвійСтатус), because the timely testing of HIV becomes increasingly important throughout the world. 37 million people live with HIV, but at least 9 million of them are not even aware of their HIV-positive status. This trend is also characteristic for Ukraine – according to official data, as of October 2018, there are 144.6 thousand HIV-positive people enrolled in the dispensary record, although their estimated number exceeds 240 thousand. Thus, almost half of those living with HIV in Ukraine are unaware of their status and, therefore, cannot receive efficient treatment in a timely manner, maintain their health and prevent the transmission of HIV to other people. That is why it is important to popularize regular and timely HIV testing as widely as possible, both among most-at-risk populations and the general population. The Alliance for Public Health has been testing MARPs for over 10 years, and more than 250,000 people get tested each year due to our activities. This has been made possible by one of the largest HIV prevention programs in the world, enabling 300,000 people who are most vulnerable to infection to receive the necessary prevention services. The next year will become a turning point for this program, which is in line with best international practices and has already made it possible to reduce the number of new HIV cases – the program funding is transferred from the Global Fund to Fight AIDS, Tuberculosis and Malaria to government budget. This is also a pivot point for the Alliance, as we share our experience and best practices. We support state policy on the availability of HIV testing at health facilities at all levels. The Alliance, based on the recommendations of the World Health Organization, has been introducing the practice of HIV self-testing for several years now. Nowadays a wide range of high quality and accurate rapid tests are available, using both capillary blood and saliva. This test is very easy to do at home and find out the result in 15 minutes, one can just buy it at the pharmacy. To help people choose from among the tests of different manufacturers, the Alliance has prepared detailed guidance on various types of tests available in Ukraine. They can be found at www.selftest.org.ua. Here you can also obtain information on where to get quick tests, what to do in case of a positive result, how to receive free and effective treatment, if necessary. Ukraine’s successful experience in implementing comprehensive HIV prevention and treatment programs has become exemplary for the entire region of Eastern Europe and Central Asia. This year, the Global Fund has supported a new project of consortia of organizations headed by the Alliance on working in 14 countries. This is the largest regional HIV project that will start on January 1 next year. The Alliance continues its active work on combating the epidemic! Next PRESS RELEASE Dedicated to the World AIDS Day “Test under the Clouds” event: Get to know about your HIV status!